Soooo remember that homemade Nutella we made Monday? Well...then I put it in a pie. 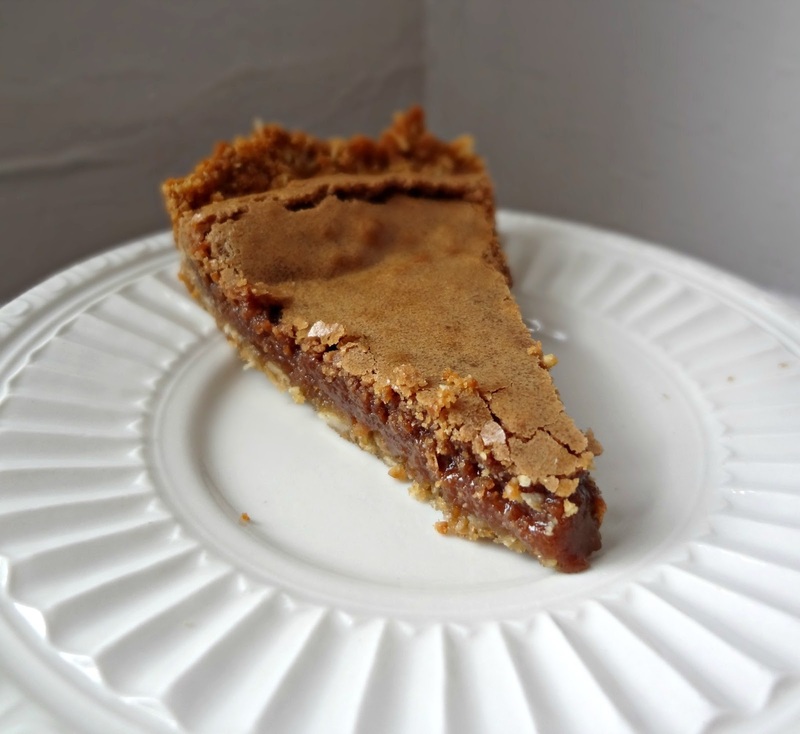 A crazy addictive*, potentially dangerous pie. That's right. 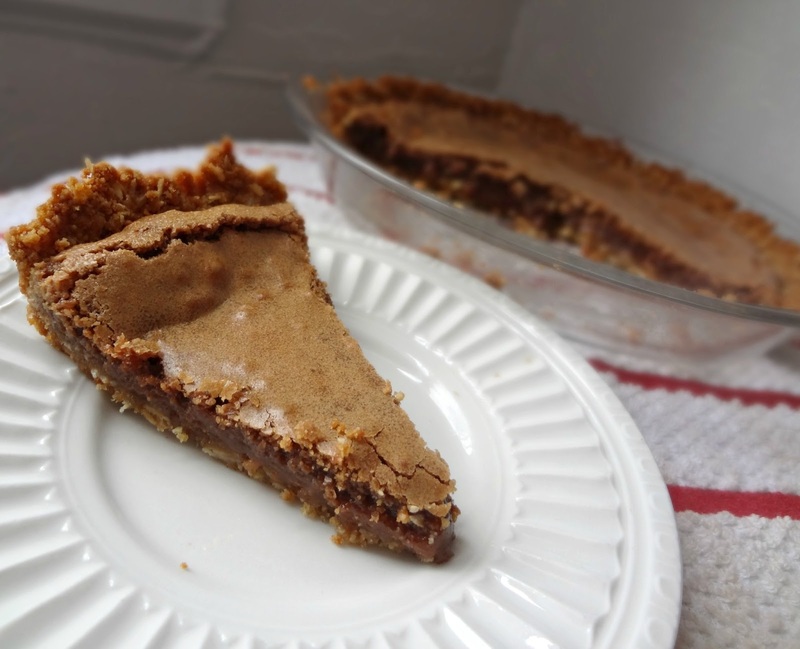 Nutella crack pie. 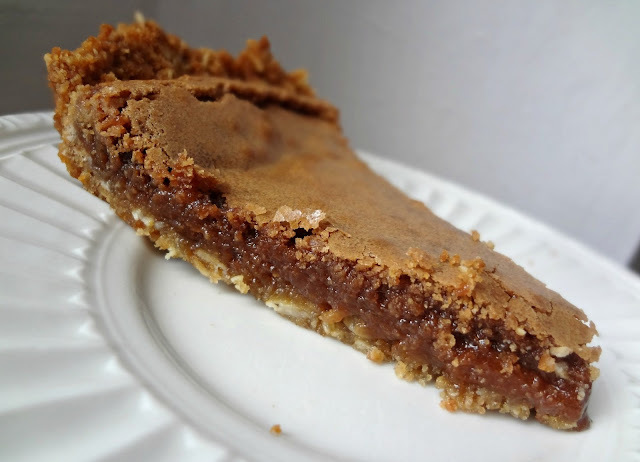 Just in case you didn't know-I can't take ownership of the crack pie idea, crack pie is one of the big desserts over at Momofuku Milk Bar. And then some crazy amazing people on the interwebs put a new spin on it-adding Nutella. 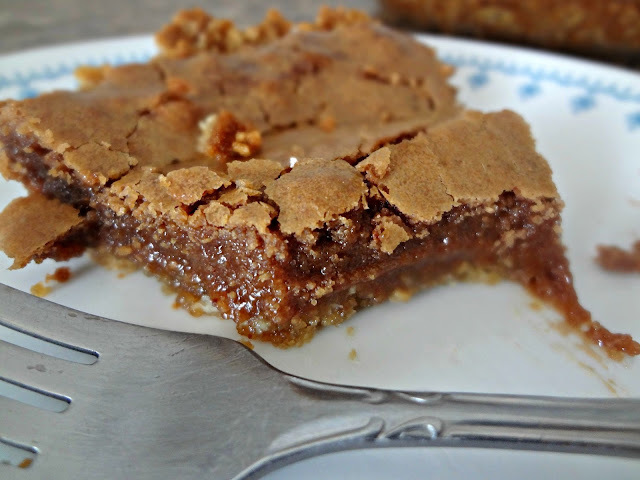 Essentially what we have is an oatmeal cookie crust (WHICH OMG IS PROBABLY THE BEST PART, I WAS OFTEN TEMPTED TO JUST EAT IT! SUCH BROWN SUGARY GOODNESS) and then a gooey, brown sugar-y filling (which in this case also has the addition of some chocolate hazelnut-y goodness). Since I used the homemade Nutella, the hazelnut flavor really came through, but you can absolutely just use storebought. Whatever. You won't hurt my feelings. This pie is traditionally served at room temperature (or even possibly slightly warm? ), but I actually preferred it chilled (a rare thing for me). I thought it just really helped the flavors of the filling come through and still...that crust....*drool*. He'll deny this, but when I tried to explain the pie to him Michael didn't seem to optimistic about it. Then he tried it. And loved it. Duh. Who wouldn't? Cream together the butter and sugars until fluffy. Beat in the egg. Stir in flour, baking powder and soda, and salt until just combined. Mix in oats. Spread dough evenly in a thin layer on the parchment paper (even more thin than pictured above) and bake for 20 minutes, until golden brown. Divide the crust evenly between the pie pan(s). 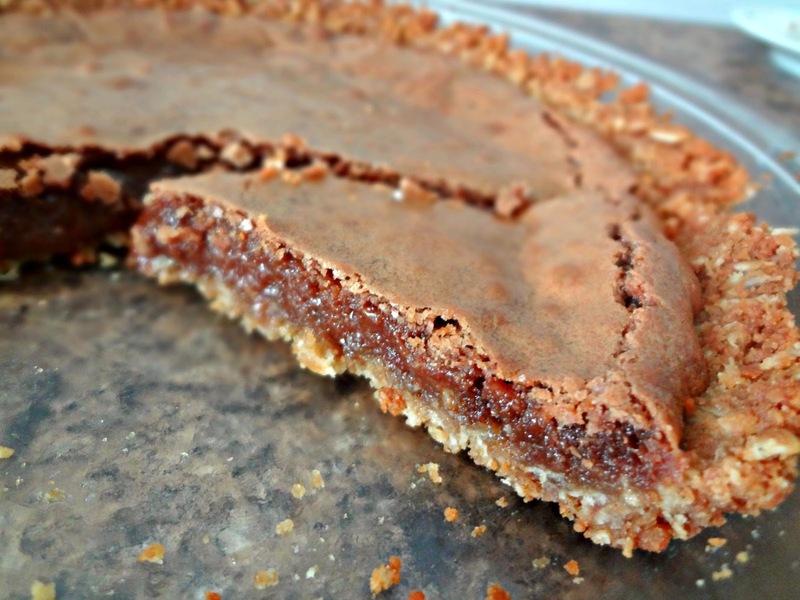 Press down into the base and sides, forming an even layer of cookie crust. Set aside while you prepare the filling. Whisk Nutella, heavy cream, and vanilla into the rest. Then, gently whisk in the egg yolks. Bake the pies for 15 minutes, then reduce heat to 325 degrees and bake for another 15 minutes-ish, until golden brown and the filling is slightly wobbly. Gooey goodness, sweet scrumptiousness, Nutella numminess. To put it simply: crack. Girl I have been seeing this pie ALL OVER this week and keep meaning to get over here to tell you how good it looks so here I am, finally! Amazing! pinned! I made the original pie and wasn't all that impressed, but I think you've hit on the perfect improvement! Holy cow this is AMAZING. And OMG! Your site is so great. I LOVE it Kaylee! Kayle, this is one serious pie! Like, I-would-eat-the-entire-thing-in-one-sitting good. Gah, that crust--yum! Love the new design! this looks A MAY ZING - and congrats on the fpdaily feature! Oh man. 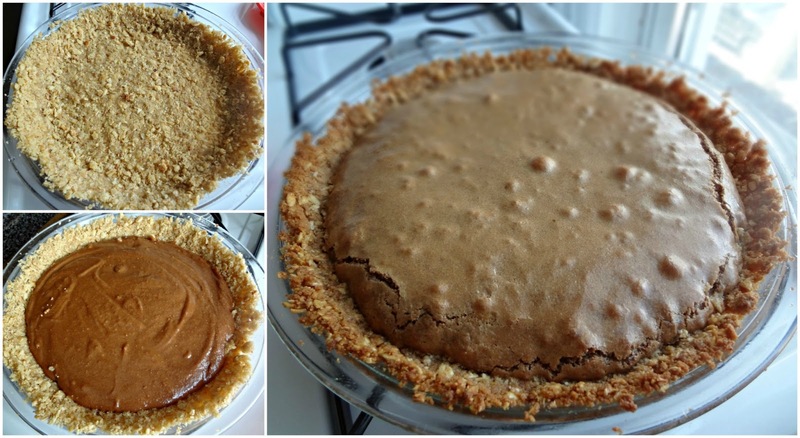 I keep reading about this mind-blowing Momofuku crack pie. I need to try some. I guess I should get cracking on a recipe, as there are no stores over here! Your recipe for the crust says oatmeal cookie. Are you referring to just 1 oatmeal cookie, roll of cookie dough, or more than 1 cookie?